GET FIT. FEEL FABULOUS. BE AMAZING! Thurston Academy’s adult Karate classes will have you looking and feeling better than you ever have before, all while giving you the gorgeous, rock-hard body you’ve always craved! In almost no time at all, you’ll be ripped and be ready for anything when you take adult Karate classes at Thurston Academy! 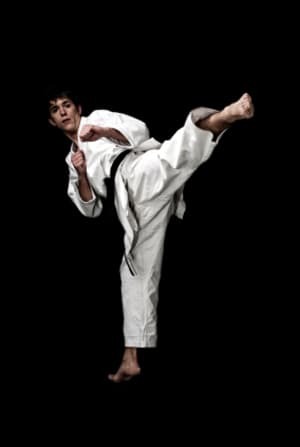 Every instructor at Thurston Academy of Martial Arts is an advanced-degree black belt master with years of experience teaching Karate to adults. We’ll show you all the classic Karate moves, from the lighting-fast punches, razor-sharp chops, and powerhouse kicks that will give you a head-turning body you won’t want to wait to show off! Plus, as you take adult Karate classes at Thurston Academy, you’ll learn critical self defense skills that will keep you safe in almost any altercation. THE BEST FITNESS PROGRAM YOU’LL EVER TRY! From a killer workout that will give you the perfect body, better health and leave you feeling nothing short of amazing, to the invaluable life saving self-defense skills you’ll acquire, there are so many reasons to give Thurston Academy’s adult Karate classes a try. And now we are making it easier than ever for you to take advantage of everything that our adult Karate classes have to offer. That’s because you can enjoy your first class for FREE. But that’s not all! When you register for our free introductory class before the end of this month, you will also qualify for huge new-member discounts! But you must act fast because this offer is only available until the end of this month! To get started, just fill out the short, no-obligation contact form on this page! We’ll send you everything you need to take advantage of our FREE introductory class, plus we’ll lock in your low, discounted rates when you decide to continue with adult Karate classes at Thurston Academy!